For many folks around the United States, the end has come for the riding season. But, that doesn’t mean you can’t start checking out new accessories and getting prepped for next year’s motorcycle season. In anticipation of some nice, long rides next year BestLeather decided to start checking out leather riding gear and sourcing out the best pieces available. We’re starting out our series on motorcycle leather gear with Outlaw Network Enterprises (O.N.E.) Outlaw Motorcycle Vest. Outlaw Network Enterprises, based in Los Angeles, CA, was formed by two guys who were tired of wearing vests that could not meet the demands of the serious rider. Year after year they found themselves searching for a new vest because they simply would not last. So, they decided to create a leather vest that would withstand their demands and that was built to last. Now they not only make great leather riding vests, but have developed their own line of riding jackets too. The best gauge of how well built this vest is seeing it in person and feeling it with your own hands. The leather is thick and substantial – but, it’s supple and flexible. It has a weight and feel to it that validates O.N.E.’s claim to using only the best materials. Seams, snaps, liner, and pockets – they’re all sized appropriately and ideally positioned. This particular vest is not sized for me, so I have not worn it. My son is able to wear it and has ridden with it on a couple of occasions. Unfortunately, it’s snowing here now and our riding season has ended. However, on the few trips he used it, he confirmed the fact that it’s comfortable to wear and feels great. The interior pockets are nicely sized. In fact, the larger pocket is billed as a gun pocket. It is large enough to securely and safely stow a small revolver or semi-automatic pistol. And, it will easily hold your smartphone, wallet, and other EDC items. The version of the Outlaw Vest for review is slightly different than the one shown on their website. The version on their website has no collar at all, while the version sent to BestLeather has a raised collar band on it. It certainly doesn’t affect the performance of the jacket, but does change the appearance slightly. For better or worse? You be the judge. In spite of the slight collar difference, the Outlaw Vest has a nice, clean look. It features sleek lines and a style that isn’t over the top. It has a great feel to the leather. I’m not sure where this leather was tanned, but it has been handled well and the quality is evident. 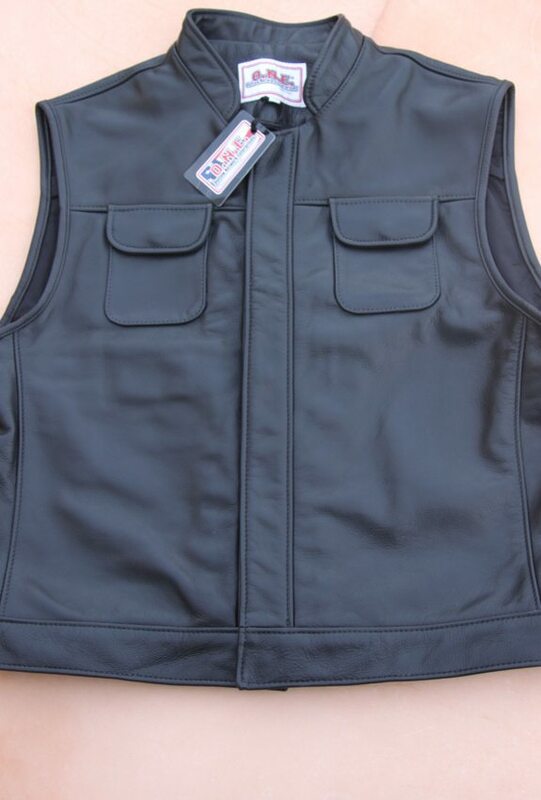 It’s easy to tell the difference between a high quality vest, such as the O.N.E. Outlaw Vest and a lower quality vest. If you only get a chance to look at them, the texture of the leather is a giveaway. The O.N.E. 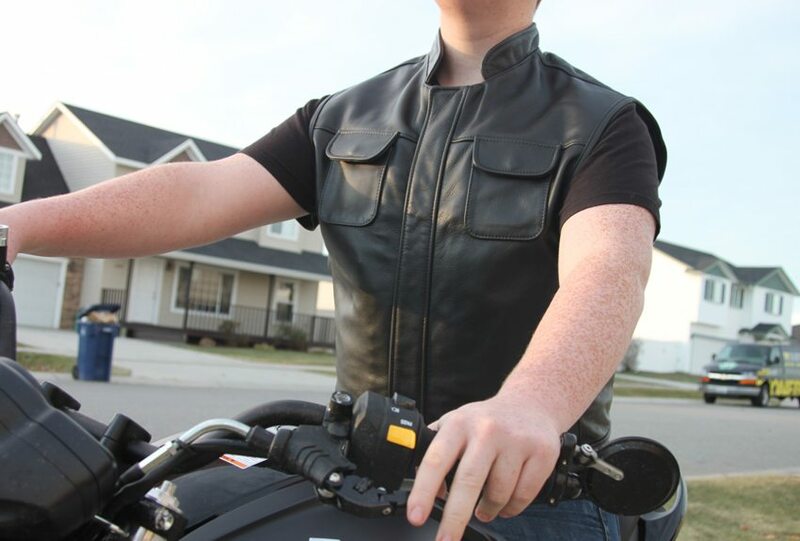 Outlaw Vest has a richer, warmer appearance over a vest that uses thinner, lower quality leather. And, once you get a chance to touch and feel both, it’s immediately apparent that the O.N.E. Outlaw Vest is clearly the more superior choice. 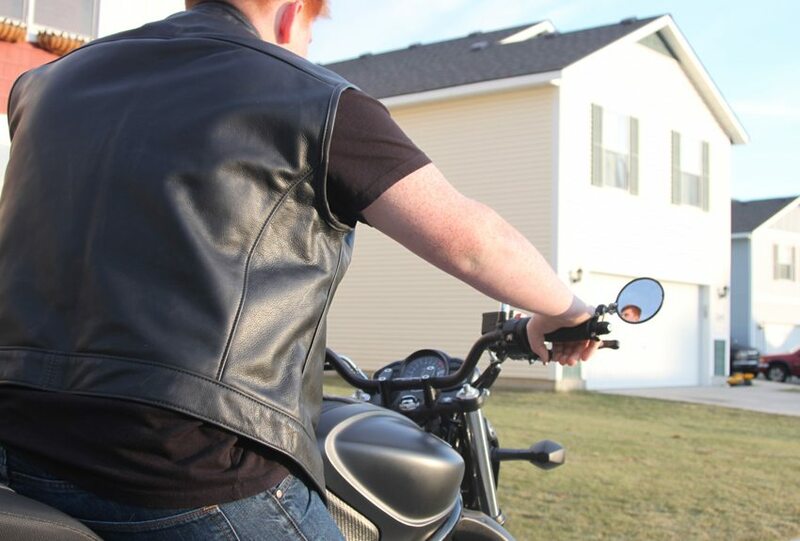 The Outlaw Network Enterprises Outlaw Motorcycle Vest is a wise investment if you want to not only look and feel good while riding, but want something that’s going to last and last. It’s easy to see why this is their most popular vest. Yes, it’s $300…but, how many cheap vests have you purchased over the years? How well have they worked out? Yeah…that’s what I thought. So, my suggestion is to take the focus off of the immediate financial impact and look at the long-term benefit of the investment in purchasing an O.N.E. Outlaw Motorcycle Vest. It’s designed for longevity and it’s going to look great for a long, long time. And, it’s backed with a lifetime guarantee. Get one for yourself and be ready to go as soon as the weather’s right! 8 Comments on "Outlaw Network Enterprises Outlaw Motorcycle Vest Review – $300"